We looked at the top 12 Vacuum Sealers and dug through the reviews from 130 of the most popular review sites including BestReviews, Best Reviews Guide, Foodie Selections, Eat With Chef, Top Ten Reviews, The Spruce Eats and more. The result is a ranking of the best Vacuum Sealers. Our experts reviewed the top 12 Vacuum Sealers and also dug through the reviews from 130 of the most popular review sites including BestReviews, Best Reviews Guide, Foodie Selections, Eat With Chef, Top Ten Reviews, The Spruce Eats and more. The result is a ranking of the best of the best Vacuum Sealers. This vacuum sealer was the best overall due to it's added retractable handheld sealer and it's 2-in-1 capabilities that allow it to serve as a bag storage system and appliance in one. Though this model can be pricy and bulky, its power and versatility make it a worthwhile buy. DWYM Kitchen Experts plus BestReviews, Foodie Selections, Eat With Chef and 1 more. Along with user reviews from Amazon and Walmart.
" A powerful 2-in-1 model. Includes retractable handheld sealer for numerous applications. Features a helpful starter kit and patented drip tray." "The machine won't fit in super large 50 feet bag rolls. The maximum-size bag it will seal is 11 inches. The sealer sits quite far back so there's a bit of bag wastage." The unique pulse vacuum feature in this appliance makes it perfect for preserving more fragile and food items. This gives the machine a wide range of capabilities. For heavier duty items or liquids, you can even choose to double seal bags. This powerful vacuum sealer takes up a significant amount of counter space, so be sure to make room. DWYM Kitchen Experts plus New York Times Wirecutter, Everyday Health, List Outdoor, Diligent Chef. Along with user reviews from Amazon.
" Its powerful suction capability and wide selection of controls—including the option to create a double seal on bags—are rare features for a model in this price category." "The 3-inch space wastes a lot of bag space"
FoodSaver is a well-known brand name for good reason—they make quality products. This vacuum sealer is no exception. 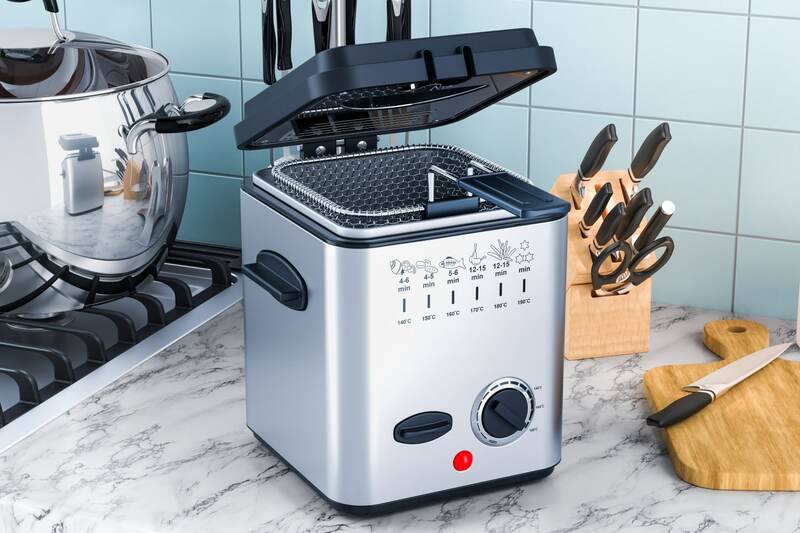 The stand-out feature of this appliance is its marinating mode, allowing users to quickly marinate their foods before sealing to ensure maximum flavor, even after freezer storage. At a somewhat modest price point, this large vacuum sealer is a great, reliable choice. 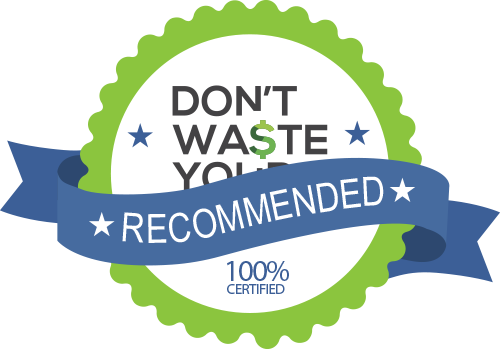 DWYM Kitchen Experts plus BestReviews, Village Bakery, Your Best Digs, Vacuum Sealer, My Kitchen Advisor and 1 more. Along with user reviews from Amazon and Walmart.
" A powerful 2-in-1 model. Includes retractable handheld sealer for numerous applications." "Not a great one for storing liquids." Don't let the price tag convince you to skip the Seal-a-Meal. This no-fuss appliance is perfect for those new to the wonders of vacuum sealing. Its drip tray is removable and dishwasher safe, making cleaning a breeze. DWYM Kitchen Experts plus Top Ten Reviews, ratingle, BestReviews, Vacuum Sealer, Eat With Chef and 1 more. Along with user reviews from Amazon, Best Buy and Walmart.
" This Seal-a-Meal model is an affordable, basic vacuum food sealer that operates, for the most part, with little effort on your part." "It doesn’t come with a few useful things like an accessory hose or built-in bag storage and cutter but for those who only want the basics, this unit will vacuum and seal easily." We identified the majority of the vacuum sealers available to purchase. Reviews from our DWYM category experts and analysis of some of the most respected sources including: BestReviews, Best Reviews Guide, Foodie Selections, Eat With Chef, Top Ten Reviews. We also incorporate user reviews from the leading retailers including Amazon, Walmart, Home Depot, Target, Best Buy. A powerful 2-in-1 model. Includes retractable handheld sealer for numerous applications. Features a helpful starter kit and patented drip tray. This model not only has the bag holder and built in cutter that people loved in earlier FoodSaver models, it also has an automatic bag dispenser. Powerful and automatic. Attachments for sealing containers and ziplock bags. Quick (10 seconds). Although pricey, it provides a lot of convenient features and an impressive warranty for the cost. The machine won't fit in super large 50 feet bag rolls. The maximum-size bag it will seal is 11 inches. The sealer sits quite far back so there's a bit of bag wastage. Doesn't fit the larger 50ft rolls. This Seal-a-Meal model is an affordable, basic vacuum food sealer that operates, for the most part, with little effort on your part. The Seal-a-Meal features an easy to clean smooth surface that wipes effortlessly and a removable drip trap to catch any liquid overflow and is dishwasher free. The design of this sealer is sleek and attractive making it a nice and appealing addition to most any kitchen. The easy to use vacuum sealer is a perfect match to any home owners to store food and ensures buy in plenty to save money. The Seal-a-Meal Vacuum Sealer is a fully automatic machine with one-touch operation which makes it very user friendly. It doesn’t come with a few useful things like an accessory hose or built-in bag storage and cutter but for those who only want the basics, this unit will vacuum and seal easily. The fact that the cord is short was a drawback, however. Vacuum sealers are an essential tool for any home cook. Not only will they save you time and money, but using them to preserve food adds unbelievable flavor, making even the simplest dishes stand out. They do this by packing in juices and preserving the freshness of food, minimizing its contact with air. Airtight environments prevent juices from escaping, keeping food moist. The airtight environment created by a vacuum sealer can also prevent solid foods from hardening since they won’t be absorbing moisture from the surrounding air. This is ideal when you need a long-term storage solution for fruits, vegetables or other perishable food items. These handy machines use suction to remove oxygen from plastic vacuum bags, applying heat to firmly seal them closed. Vacuum bags are typically held separate from the oxygen-sucking sealer, but some brands are beginning to combine the two in the same housing. It comes with a possible downside — a bulkier appliance — but you may decide it’s worth it for your needs. The vacuum sealing method is often confused with shrink wrapping, but they are distinctly different. Shrink wrapping isn’t a viable way to preserve food, though it may have similar results within alternative applications, like storing clothes. Unlike vacuum sealed items, shrink-wrapped items are enclosed in film, which is effectively shrunk when heat is applied. The film adheres to the item, taking its shape. It removes most of the air, but does not truly vacuum seal its contents. Vacuum sealers work well when preserving meats and seafood, like fish (hint: add a flavor-boosting marinade before sealing to kick things up a notch). Once you’ve sealed it up, pop it in the freezer. Most quality vacuum sealers, like the FoodSaver 2-in-1 Vacuum Sealer or Seal-A-Meal Vacuum Sealer, will create an airtight package that will keep in the freezer for an incredibly long time while preserving taste and minimizing freezer burn. You can say goodbye to throwing away leftovers and hello to buying in bulk without worrying about how to use it before it goes bad. You can defrost your vacuum-sealed food while in the vacuum bag, but defrosting must be done in the fridge to allow it to remain at a safe, constant temperature. As such, you’ll need to allow enough time (about 24 hours for every five pounds of meat) for it to comfortably reach the desired temperature before cooking. If defrosting your sealed food in the fridge is not an option, remove it from its vacuum sealed bag. The inside of the vacuum bag is not sterile, so leaving perishable items at room temperature should always be avoided as it could result in bacteria growth. Quality vacuum sealers are essential for adequately preserving products, especially food. That’s why you shouldn’t skimp on quality when choosing your vacuum sealer. The good news is there are vacuum sealers that will get the job done well at just about every price point. If you have a good vacuum sealer, you’re prepared to try a quirky (but delicious) cooking technique called sous vide. It’s a method of preparing food by partial cooking it, followed by vacuum-sealing and chilling. It can sound odd and unsafe to some, but others swear by it when creating flavorful dishes. Though you don’t always need a vacuum sealer, using one is preferred. Using one is key when cooking delicious veggies — carrots, potatoes, broccoli and onions work best. Just preheat a pot of water, prepare and vacuum seal your vegetables with a splash of oil, and drop them into the hot water until the veggies are crisp, crunchy and tender. Voila! Find a vacuum sealer with a handheld sealer to keep fridge and pantry items, like deli meat and cheese. The FoodSaver Vacuum Sealer, for example, includes a retractable handheld vacuum sealer that works for a variety of applications. Use the handheld sealer to remove air from containers and zipper bags to keep your everyday food lasting longer and tasting better. This smaller vacuum sealer isn’t as powerful as the machine used to vacuum seal larger meals, so stick to items only needing short-term storage. For the Vacuum Sealer category, we analyzed 130 of the most popular reviews including reviews from BestReviews, Best Reviews Guide, Foodie Selections, Eat With Chef, Top Ten Reviews, The Spruce Eats and more. The result is a ranking of the best Vacuum Sealers.